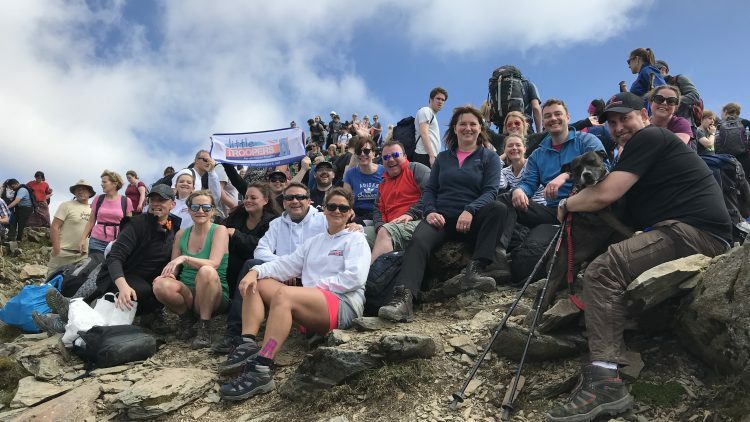 bartlett mitchell, one of the UK’s leading independent caterers, has helped to raise over £10,000 for children’s charity Little Troopers, by climbing Mount Snowdon. The bartlett mitchell team, made up of 13 team members and 10 of their family members, joined a group of 52 others in the 2018 Snowdon Challenge last week (6 May 2018). The aim of the 3,560 ft climb was to raise vital funds for the charity, which supports all military children and counts bartlett mitchell executive chairman Wendy Bartlett among its trustees. bartlett mitchell also provides office space and resources to Little Troopers founder Louise Fetigan, so that she can focus her attention on making a difference to the children of parents serving in active military service. Other Little Troopers initiatives include the sending of birthday cards, organised trips and extensive emotional support – including an online portal for parents to load pre-recorded bedtime stories onto which their children can later download and listen to. The bartlett mitchell team smashed its £4,000 target by raising more than £5,400 (with gift aid), while the overall total reached £10,000. Wendy Bartlett, executive chairman of bartlett mitchell, said: “Little Troopers is an incredible charity that does amazing work to make a difference to the lives of children with a parent serving in the military.